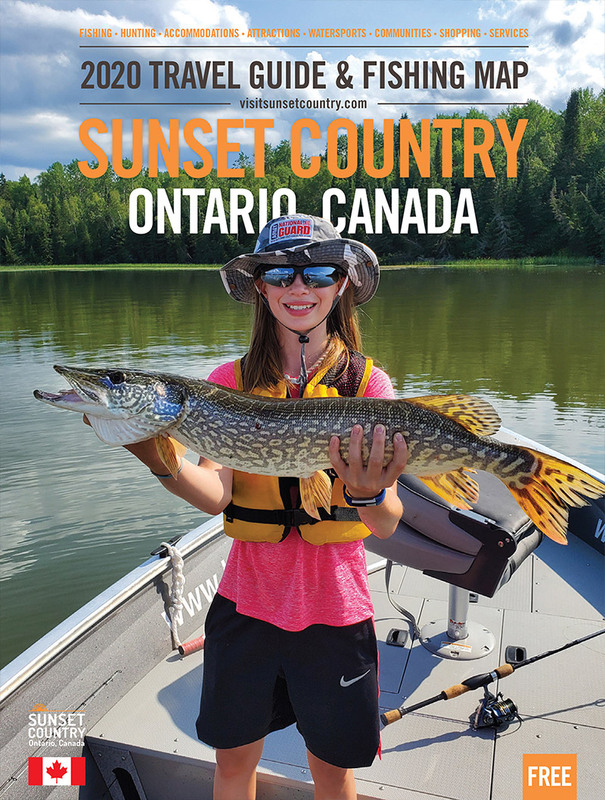 Whether you are staying at a resort for the week, at a campground or just passing through, there is lots to see and do in Sunset Country. The key to your enjoyment is to get outdoors and enjoy the area's natural beauty. Things you can do include hiking, boating, shopping, and of course, fishing. Visit local attractions such as museums, or just go downtown and take in the ambiance of small towns and cities in Northwestern Ontario. Many unique stores and places to eat await you. Find that perfect souvenir of your trip to Ontario. Many communities also have recreational facilities including golf courses. swimming pools, beaches, parks, as well as walking and biking trails. Several of the communities in Sunset Country have beautifully developed waterfront areas where you can sit and take in the view or have a picnic. Watch float planes land and takeoff on the water or cast a fishing line into the lake and try your luck. On a rainy day, you can go into town and go bowling, to a movie or to a nightclub and have a great time with your friends. During the summer months, there is always some activity going on in town be it a major festival or a small street party, a charity or a sporting event like a fishing tournament. Go out and see the thrill of the weigh-in at a fishing tournament or see a band perform live at an outdoor venue. You can check out our Event's Calendar or our list of fishing tournaments and see what's happening during your stay.